It is important that you test your alarm system regularly to ensure that it is operating properly and communicating with the monitoring station without any problems. As with all electrical electronic equipment, defects and malfunctions can occur and testing the system allows for timely detection of problems in advance so that you can feel secure knowing your system will protect you if the need arises. Pre-Lock Security recommends that you test your system on a weekly basis to insure any deficiencies are corrected prior to services being challenged by an intruder. Information regarding the steps to test your specific system can be found in the system User's Manual and were explained during your system orientation when your system was installed . 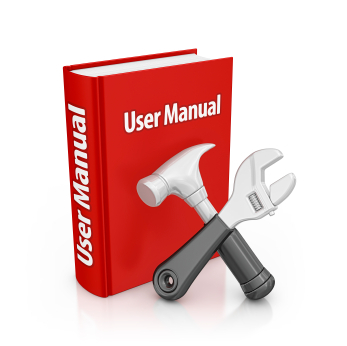 Copies of User's Manuals for most systems can be reviewed or downloaded from our website or you can contact our service department to schedule a system orientation in the event you feel you need a refresher course. Your system may allow you to test and troubleshoot the functioning of each alarm zone without calling our service department. However, to verify that your system is communicating with our monitoring station, you should call the Pre-Lock Security Central Station to put your system "on test" prior to sending any signals. Please note if you subscribe to our exclusive e-alert service, messages will not be sent to your device while on test. Doing this will prevent an unintended dispatch call to authorities and avoid expensive Police Dispatch fees that unfortunately can not be reversed once issued. This is very important: never trigger an actual alarm to test your system or our response to an alarm signal as the costs involved are expensive as well as you could cause someone who really needs the services to suffer the consequences by exhausting the resources of the authorities.